If you own an external hard drive then you must be used to simply plugging it in, and having an autoplay window open up so that you can choose which action you wish to take. But would you know what to do if the computer displayed the message External hard drive not recognized? This could be happening due to a number of reasons, and this is where the process of elimination will come in handy. It's not uncommon to come across this problem once in a while, irrespective of which computer operating system you are using. After all, all computer hardware gives some trouble from time to time, and all that matters is that you know how to get around the situation and find a solution. The very first thing that you should try doing is disconnect the hard drive, and then reconnect it. Sometimes the computer may not recognize the drive at first, but will do so at the second time of asking. This is especially true in cases when the autoplay window pops up, but the hard drive is not listed out in the My Computer section (for Windows) or the Finder (for Mac). Different types of hard drives can require different actions in order to make them recognizable. Another solution to the problem of 'external hard disk not recognized' is to unplug the device and plug it into another USB port on the machine. It could so happen that the port you first used was not functional or too slow, so this could also solve your problem. These are both very simple solutions, and in most cases they will work. But in certain scenarios the problem could run deeper and could require a more complicated solution as well. Other solutions to this problem include plugging the hard drive into another machine, reconnecting the power source of the hard drive if it has one and reinstalling the drivers of the hard drive. The problem of external hard drive not recognized is something that will be solved by reinstalling the device drivers in most cases. The drivers for the hard drive would have been installed the first time you plugged in the hard drive, so this is not a bad idea. Once you are done reinstalling these drivers there is a greater chance that the hard drive will be recognized. Another way to check for the problem is to go to My Computer, right click on it and then select 'Properties', then select the tab 'Hardware' and then click on 'Device Manager'. You will see a list of all peripherals that are attached to the computer, and if the external hard drive has a yellow symbol in front of it, it implies that there is something wrong with the device drivers. This is one of the best ways to understand the problem of an unrecognized external hard drive on machines running on Windows operating system. So if you're looking for solutions to external hard drive not recognized on Windows Vista, external hard drive not recognized on Windows 7 or even on Windows XP for that matter, this information should suffice. If you are using a Mac and the aforementioned options do not work for you, you should know all about hard drive formatting. Windows OS uses two formats which are FAT32 or NTFS. Macs use Mac OS X Journaled formats. These two formats are incompatible, so a Windows formatted hard drive will not be recognized on a Mac. You will need to reformat the hard drive on the Mac for future use. Unfortunately this will erase all the data on the device, so you will need to make a backup of the data. So if you're facing the problem of external hard drive not recognized on Mac, you know what to do. All these solutions should serve you well. If the problem of external hard drive not recognized still persists, then you can visit a computer repair store and have them help you out. When it comes to storage space, too much is never enough and the idea is to get as much as you can. External hard drives have solved the limitations of the storage space provided on a computer, since one can just plug in an external hard drive and transfer data back and forth as many times as possible. Most computers have a storage space around 500GB, and the higher end models come with as much as 1TB (1024GB) storage space now. But you can also buy an external hard drive with as much as 2TB space now, and solve your space problems permanently. There is not much to differentiate between the various external hard drives provided by different brands, since they all work on the same technology. The only differences between them are the amount of storage space available and the durability of the exterior of the drive itself. These are the factors that determine the price of the device. Every year some new models of external hard drives are released, and here we will be telling you about some of the best external hard drives 2011. If you are looking for the best 2TB external hard drive, we have enough information on Buzzle to help you out as well. Some important features to take into consideration when you are buying an external hard drive are the RPM speed (also known as the spindle speed) of the drive, the cache size of the drive and the interface that the drive uses for data transmission. The choices in this regard are Firewire, USB 2.0, USB 3.0 and eSATA with USB 3.0 being the latest and the fastest technology right now. So here are the external hard drives that you should consider getting yourself. 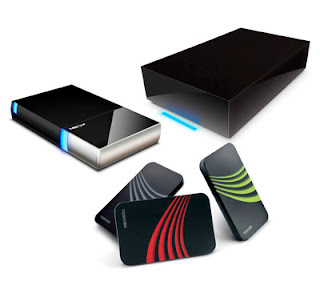 These were some of the best rated external hard drives that are sure to be very popular in 2011. If you are looking for the best external hard drive for Mac 2011 then these options are suitable for you as well, since these drives work with all operating systems and machines. Still, if there are some more options that you are looking for, then here they are. All of these external hard drives are great choices, and they each have tons and tons of space to offer. It goes without saying that you need to analyze and study a hard drive before buying one, and the most important aspect to consider is the amount of storage space that is available. Most people will be happy with any drive from any brand as long as it has the sufficient amount of space that they need, but by learning more about external hard drives you can get the fastest and the sturdiest ones. Laptop gaming has come along in a big way in the last few years, and today there are advanced gaming laptops that are capable of handling some heavy-duty graphics and providing some high quality audio output as well. Gaming laptops are very different from regular laptops, not only because they look different due to ergonomic reasons, but also because they are much more powerful and their specifications dwarf the regular machines that we use everyday. Additionally, they are unbelievably expensive in comparison. 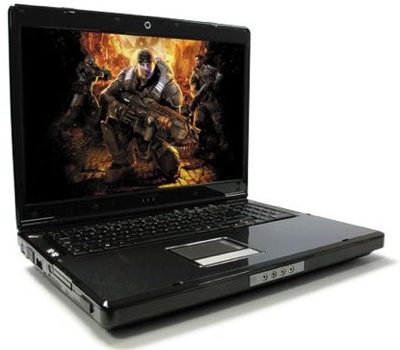 If you are looking for cheap gaming laptops 2011 then you will need to compromise somewhere. You can either buy a used gaming laptop or a refurbished one to get a good deal, or you will have to buy a gaming laptop that does not have the best configuration possible. The most expensive gaming laptops cost as much as $5,000 so this is a sacrifice that many people are more than happy to make. Gamers need a laptop that is capable of making their favorite look as stunning as they can, and sound as realistic as possible. For this reason the laptop should be more than capable of handling very graphic heavy content, without any lags. The primary component for this purpose is the video card, and you should definitely get a 1GB video card made by NVIDIA or ATI Radeon. NVIDIA's new SLI technology makes use of dual-video cards so getting two video cards will future proof your gaming laptop. The processor speed and the RAM is also very important for the performance of your gaming laptop. High end gaming laptops come with 8GB of RAM, whereas normal machine can function on as little as 1GB. Get 4GB of RAM to be safe though, and almost all games will work perfectly on your laptop. Quad-core processors are the latest norm for gaming laptops, and a clocking speed of as low as 1.6GHz will work perfectly in a quad-core architecture. Naturally, the higher the speed the better it will be. Even the hard disk space is important because modern games take up a lot of space. Buy a gaming laptop with at least 320GB space, and even invest in an external hard drive with a minimum of 1TB space. The screen size will play a crucial role in determining what you see so the bigger the better. On an average, a 15" screen should suffice. Now that you know what you are looking for in a machine, let's look at some economical options for gaming laptop enthusiasts. You must also ensure that the warranty period for the gaming laptop that you buy is as high as possible, and also that the after sales support and customer help center for the brand you are buying is friendly and responsive. Gaming laptops do have a tendency to experience several different kinds of problems, and this is unavoidable due to the high quality of the games that are played on them and the long durations for which they are used. To combat this problem one needs to be prepared with an extended warranty period and excellent customer support services. If the prices mentioned here are beyond your budget then you will need to find some sources to get refurbished gaming laptops or used gaming laptops. If you are buying a new gaming laptop that costs less, then you can compromise on the screen size, the hard disk space, and to some extent the RAM as well. But never compromise on the video card since this is the primary component for running high graphical content games smoothly. It is becoming increasingly common for laptops to have HDMI ports embedded in them nowadays, and this is simply because more and more people now own HDTV sets and more and more video content is being digitalized in the 1080p full-HDMI output. HDMI stands for High Definition Multimedia Interface, and this is simply a way of expressing the high quality content that is transferred through an HDMI connection. High Definition TV sets are common consumer electronics today, and almost every household owns one today. These TV sets are made full use of when HD content is played on them, and the picture quality that is offered is so sharp and crisp that it looks like real life images. 1080p output is the standard for the best HD content today, and the 'p' here stand for Progressive. This is simply a way of expressing how the pixels in the 1080 vertical lines of the TV screen color up via the light source, and produce a supremely clear image for the viewer. A lot of this HD content is obtained by people on their laptops today. This is achieved either through streaming content online, buying content online or simply downloading it online. There are some laptop models that are capable of producing 1080p HD content, but their small screen size limits the viewing experience. If you are like me, then you will want to view this HD content on your big screen TV, and this is possible only on laptops with HDMI output. This enables a connection between a laptop and an HDTV set, thus enabling you to watch the HD content at ease. Needless to say, you need to know how to connect laptop to HDTV before you undertake this viewing process. Most of the major laptop manufacturers now offer their new machines with HDMI ports embedded in them because they have realized the needs of buyers. It will increase the attractiveness and the utility of their laptops if they have an HDMI port, and this is also influenced by the popularity of HDTV sets in the market. Moreover, HD output is also becoming very common today, with a lot of smartphones also capable of recording HD videos. With that in mind, here are some of the best laptops with HDMI connectors and HDMI output that are available in the market today. 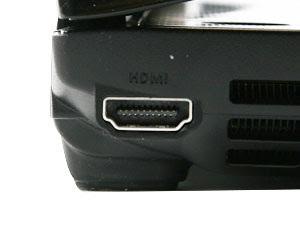 All of these laptops also have a minimum of 1 HDMI port for the purpose of establishing a connection with an HDTV set. This function is vital for modern day laptops since almost everyone has an HDTV, as mentioned earlier. The ability to see HD output on one's laptop itself is an added benefit that many people would willingly pay a premium for. This HD content can even be viewed through the optical drive, which would be capable of playing Blu-Ray discs. If you have recorded HD content through an HD camera or a smartphone, then this video output would also be supported on these laptops. A high quality video card with a minimum of 256MB memory is also incorporated into these machines to be able to generate this HD content. 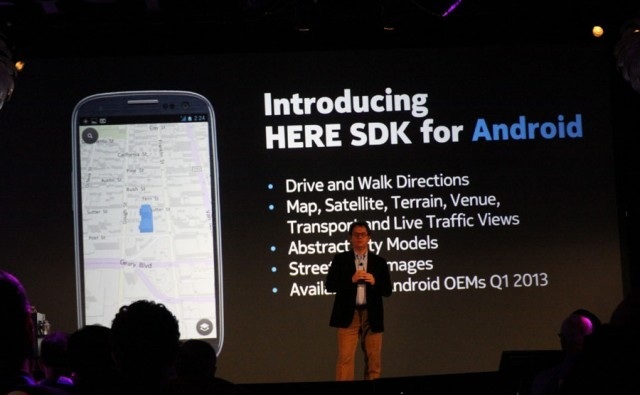 As time passes and technology progresses, HD content will become even more widespread and even more intense in detail. Hopefully these laptops will be able to support these newer formats as well, and the biggest beneficiaries will undoubtedly be the buyers of these laptops.